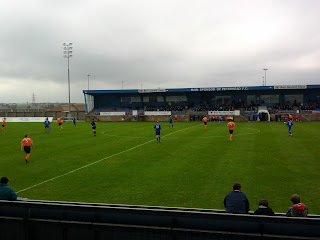 Opened in 1997, after the sale of the club's old Recreation Park ground, the facilities at Balmoor were one of the main reasons Peterhead gained access to the SFL in 2000. The ground is also the further from any railway station in the UK - being around 37 miles from Aberdeen's train station. Setting off from Glasgow, the trip to Peterhead was a bit of a beast if I'm being honest with the decision to drive up a less-preferable, but more sensible option for those looking to head along to see the Blue Toon. Without a car, you're looking at a bus trip from Aberdeen of a good 90 minutes. 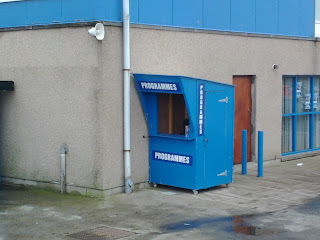 Arriving at the ground, you are met with a couple of real treats before you even enter Balmoor. 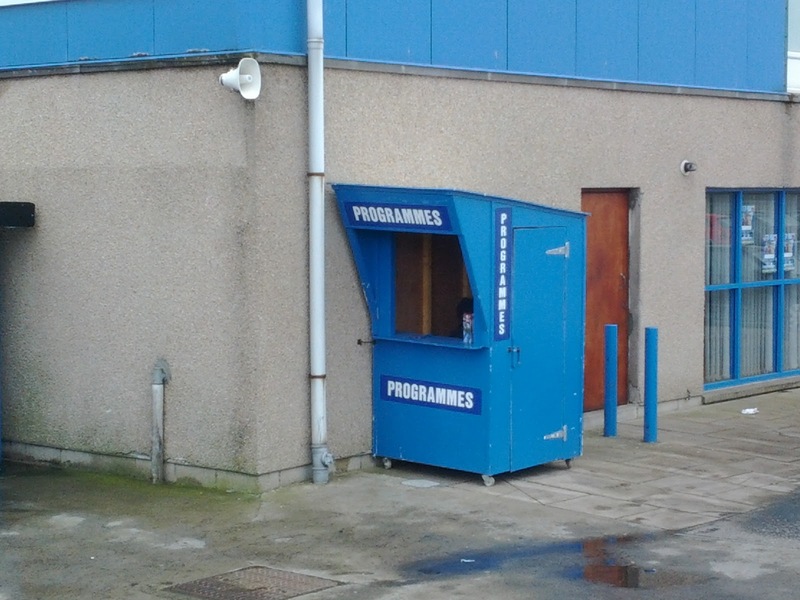 For instance, you are able to purchase your matchday programme from a tiny, tardis style booth that looks like it has been nailed to the wall of the Main Stand. 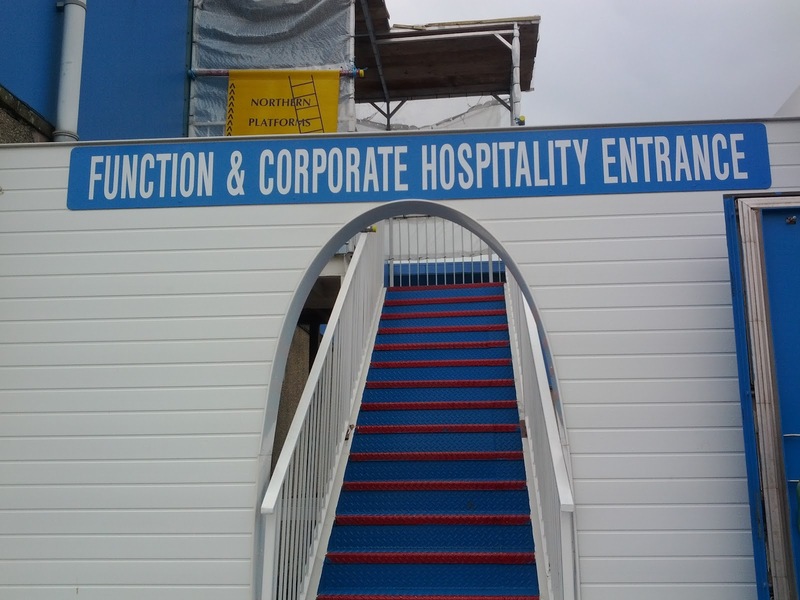 A small walk further along the outside of the Main Stand, away from the road, you are met by the entrance to the Function and Corporate Hospitality Entrance which appears to take you up a flight of steep, brightly coloured stairs to an area with a load of scaffolding and, I can only presume, a buffet of outstanding proportions! 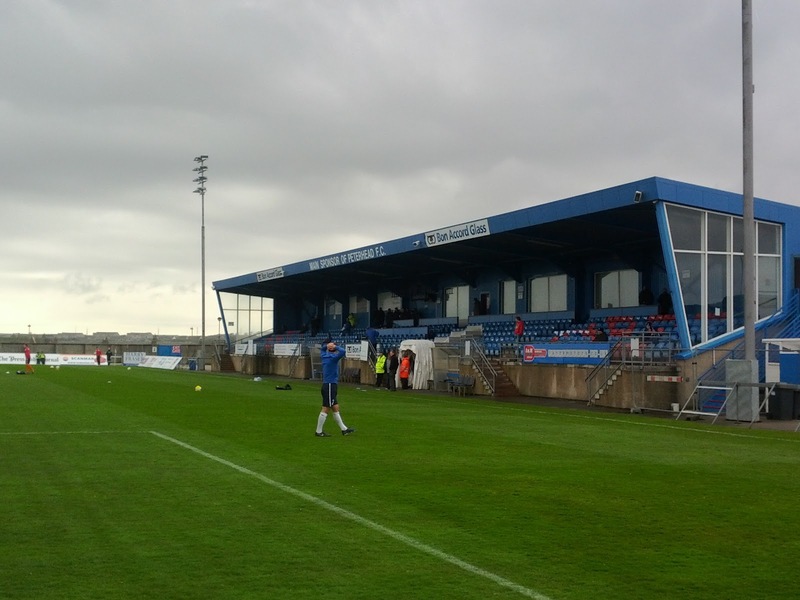 Entering the ground, you are firstly met by a fantastically friendly couple of old men on the gates and a giant seagull in a Peterhead top. I think he was their mascot, but the seagulls up Aberdeenshire way are absolutely gigantic in my experience! Before you can take your seat you also get the chance to be thoroughly confused - an absolute must in an SFL ground in my opinion! 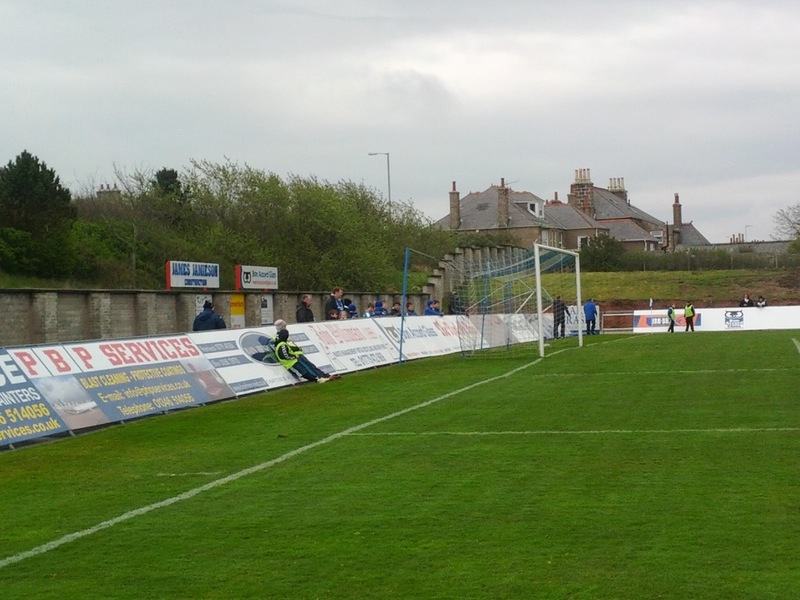 See...Balmoor has two virtually identical stands that run down each side of the ground. Both these all seated stands are roughly of the same height and are covered. 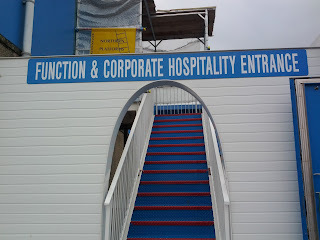 The seating areas are raised above pitch level, which means that supporters need to climb a small set of stairs at the front of the stand to access them. Both ends of the ground are open and don't have any formal terracing. Despite being identical, there is a £2 premium to enter the West Stand! The only reason I can think that this would be the case, is because of the wind shields at each end of the stand. However, it does seem wholly unnecessary to place this additional charge on supporters. If that wasn't enough, getting across to the East Stand proved to be one of the most difficult things I've had to do in a while. The home players were warming up, taking pot shots at the keeper and, generally, missing high and wide. Unfortunately for spectators, the balls intended for the goal end up flying around people's heads. Running the gauntlet is one way of putting it! I felt more like the duck in the old Arcade Game "Duck Hunt" as I tried to avoid the proverbial "hunter's bullet"! 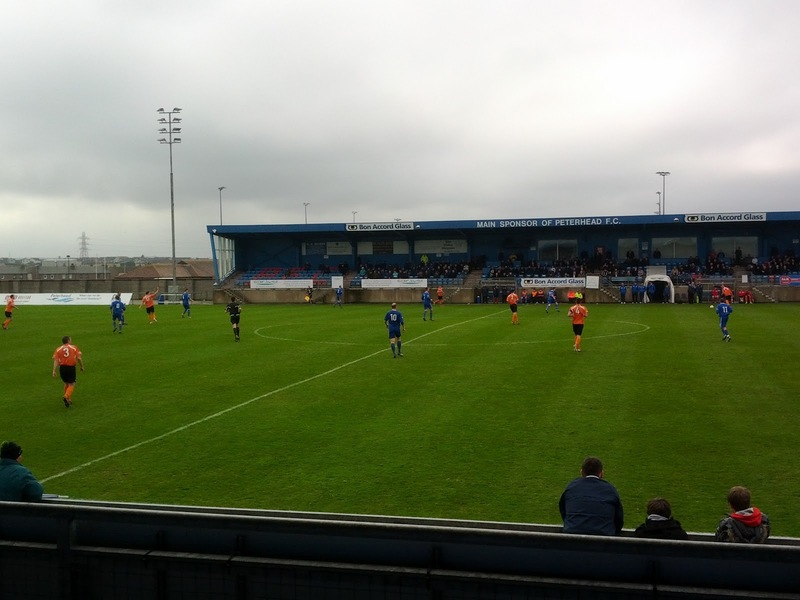 Overall, Balmoor is quirky and fun, a stadium you are able to walk right round and extremely comfortable to watch a match in. It scores well as a result. 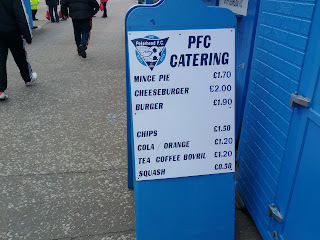 Food wise, the pie and tea combination came in at around £2.90 which okay but a good £1.30 more expensive than at Forfar and considerably less tasty. I should warn fans that the tea does fizz - Cowdenbeath style - so beware of the potential gut-damaging consequences! The pie was excellent quality and not bad for £1.70. I also quite like the fact that for 50p you can get a small plastic cup of Orange Squash, like a tiny little child. Solid catering score for Peterhead. The fans at Balmoor were a good sort. The buzz around the place was very decent, passionate, good humoured and well-engaged. They made it pleasurable to be at the ground and helped even a neutral like myself get behind the home side in their flurries forward. 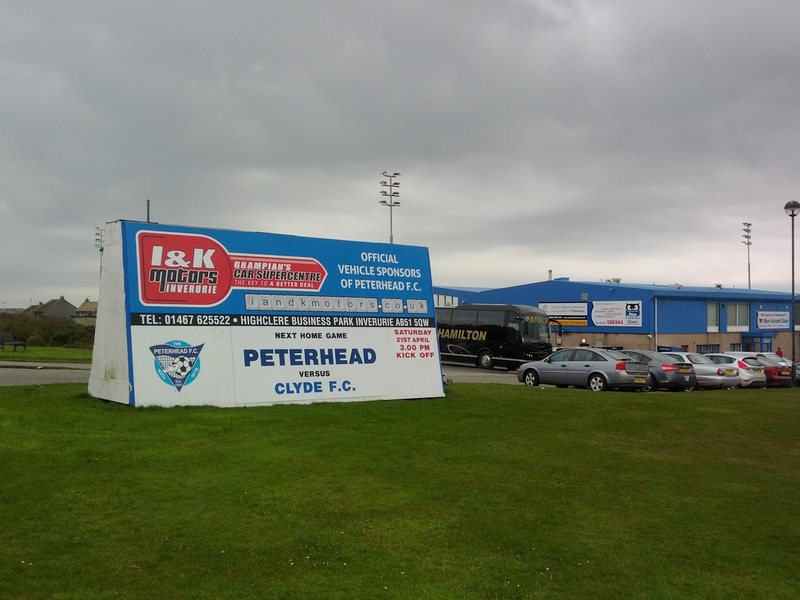 It wasn't all sweetness and light though as one Peterhead fan seemed to take offence at some of the "Weegie Patter" of a Clyde fan throughout the game. Some verbal volleys were exchanged for most of the second half, harmless stuff really, but tensions were building. Then, as the visitors equalised in injury time, it was all too much for the local fella who decided it was on! 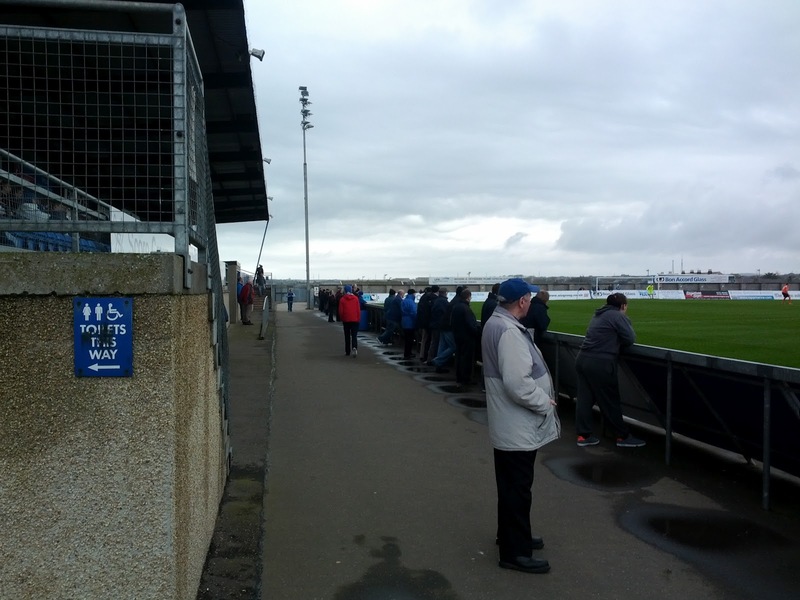 The two men had to be separated by stewards and then, after a side by side "debate" as they left the stand, it all kicked off outside Balmoor as the Peterhead fan took off his jacket, handed it to his missus and told the Clyde fan that "he was getting his f*cking arse kicked". The Clyde fan's response of "calm down pal, Jesus Christ, can't you take the banter?" only seemed to spur the local man on even more as he started to froth at the mouth! Shoving ensued and not much else happened but that's probably because the two protagonists were about 65 years old and looked somewhat like the picture below. To quote the famous Kenny Legg of Adventures in Tinpot fame, it truly was "Blogging Gold". 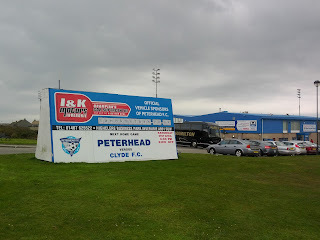 In terms of entertainment, Peterhead were a bit of a mixed bag. They had some very good ball players in their team and do try to play a nice style of football. Using their wide men and full backs well and playing a mixed style, they are quite a tidy outfit. I suspect they might be a pretty good shout for the playoffs at least next season. There was a little bit of slackness in their game, though, which allowed Clyde to dominate for some spells and, ultimately, hit the Blue Toon with a bit of a sucker punch equaliser in the last minute. Ryan Strachan: I enjoyed watching this boy play the game. He loves to get on the ball, sprays both short and long passes around nicely and seemed to be a bit of a playmaker for Peterhead. At the same time, he also seems to enjoy going to sleep and letting his midfield runners sneak in behind him! Nonetheless, his attacking play was excellent at times. He rarely gives the ball away and overall certainly impressed. Rory McAllister: I guess this was always likely to happen, but the boy is a good footballer. His goal scoring record in the SFL over the last few years has been excellent and he'll no doubt continue to bang them in next season. One thing though, anyone ever noticed he's got a bit of a bizarre running style? Callum MacDonald & Scott Ross: The Blue Toon's centre back pairing on the day were pretty solid indeed. MacDonald in particular won everything in the air and made really good use of the ball from the back. Ross took no chances, acting as an excellent partner for MacDonald and winning some superb tackles. A very tidy defensive partnership. Overall, not bad from Peterhead. I got the feeling they had more in their locker than they even showed. They score quite well. 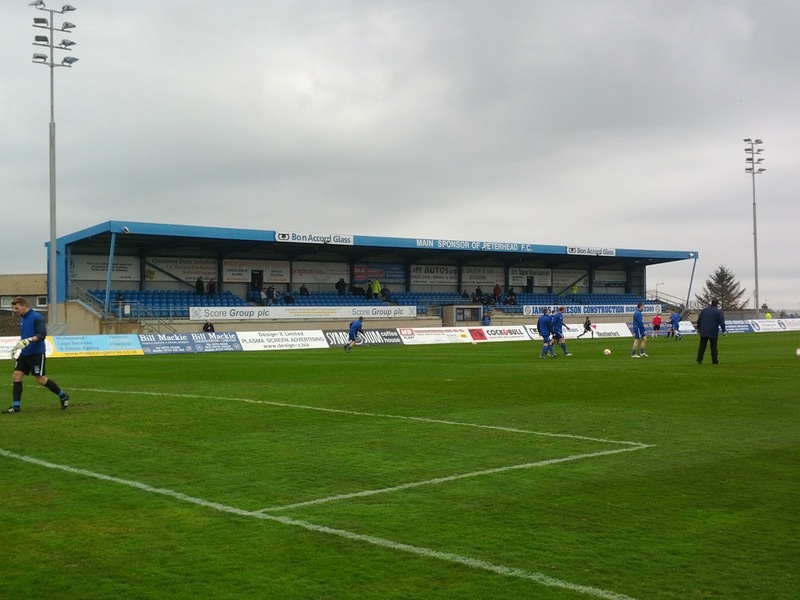 Peterhead was pretty good value for money. Despite the long trip up, only £12 to get in and under £3 for your food means it's a cheap day out while you are there. Footie wise, I think you'd probably get some not bad stuff from the Blue Toon and, if the old fighting man is anything to go by, there's also a good chance you might get to see a scrap!